Almost every culture has a food elixir. It’s the stuff of magic, the subtle combination of flavors that every homecook tweaks into perfection and has to be made just so. In Cuba, it’s mojo – a mix of seville orange juice (sour or bitter oranges), onion, and oregano. Most popularly, it’s the marinade used on pork that gets sandwiched in a crusty roll with mustard, swiss, and pickles, also known as a Cubano. It’s glorious. Today I’m using it as the base for my roast chicken, but you could just as easily braise pork shoulder in it, grill the chicken instead, marinade and saute shrimp in it. Basically any “white” meat will go fabulously with it in practically any application. 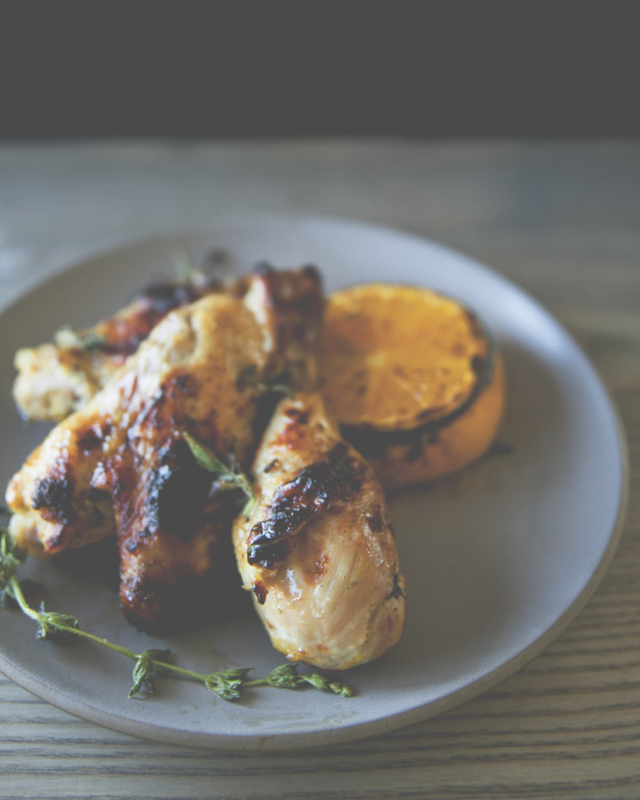 The marinade smells heavenly, and it’ll become a kitchen staple for you too, I promise. Note: If you have access to seville oranges, lucky you! Use all seville orange juice instead of the the blend of citrus juices below. Put oven rack in upper third of oven and preheat oven to 500°F. Strain and transfer the chicken to a large shallow heavy baking pan (I used a 13 x 9 oval baking pan, which was a little snug), save the mojo for glazing in the last few minutes. 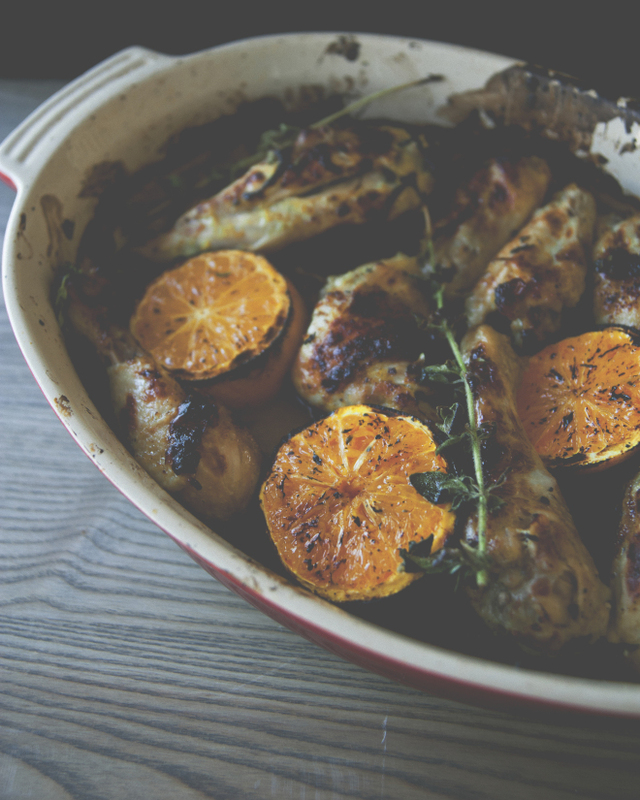 Bake chicken 10 minutes, then add orange pieces to pan. Continue to bake until the chicken is golden and cooked through, 15 to 20 minutes more, glazing the chicken with reserved mojo 5 minutes before it’s done. 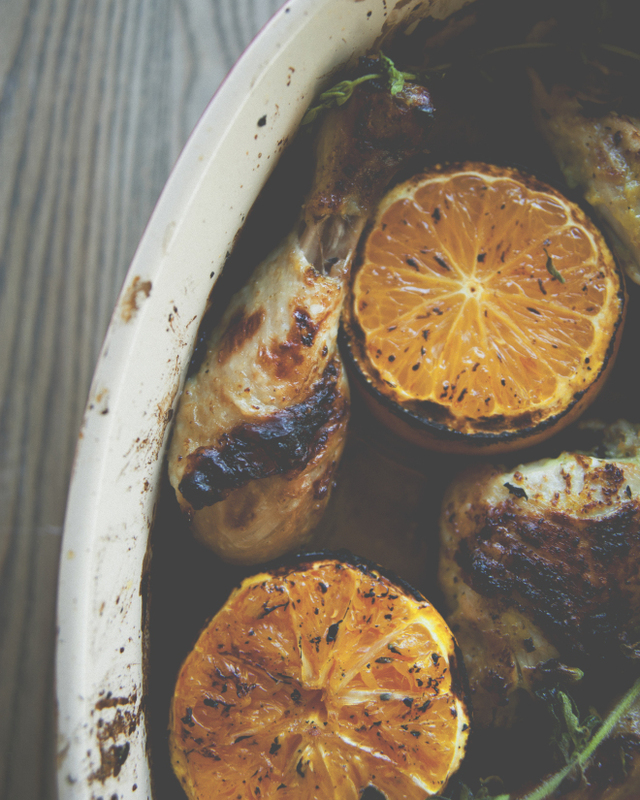 For extra crispiness, crank up the oven to broil and broil for 1 or 2 minutes at the very end. 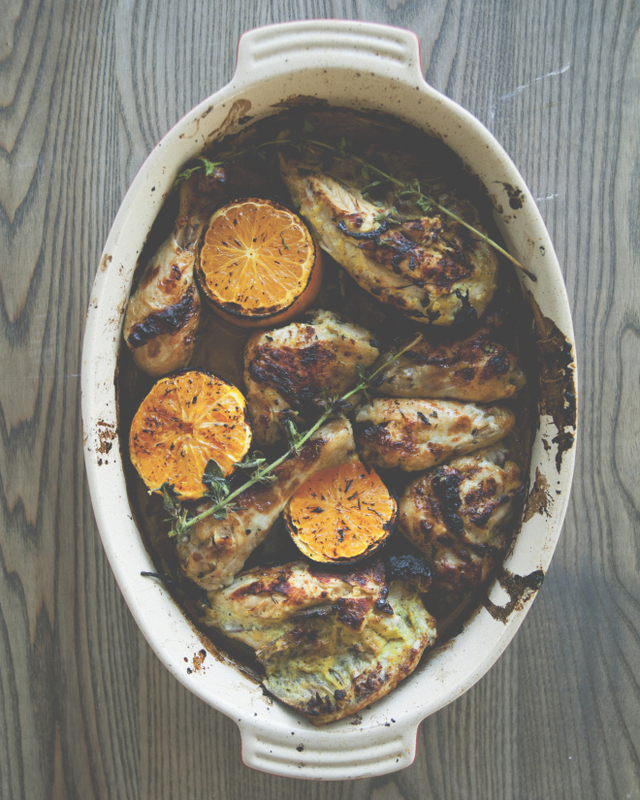 This entry was posted in dinner and tagged chicken, citrus, garlic, mojo, paleo on September 11, 2015 by sweetlaurel.